Booking Business Speaker, Loren Weisman for Speaking Engagements, Seminars, Signings, Conferences and Lectures. 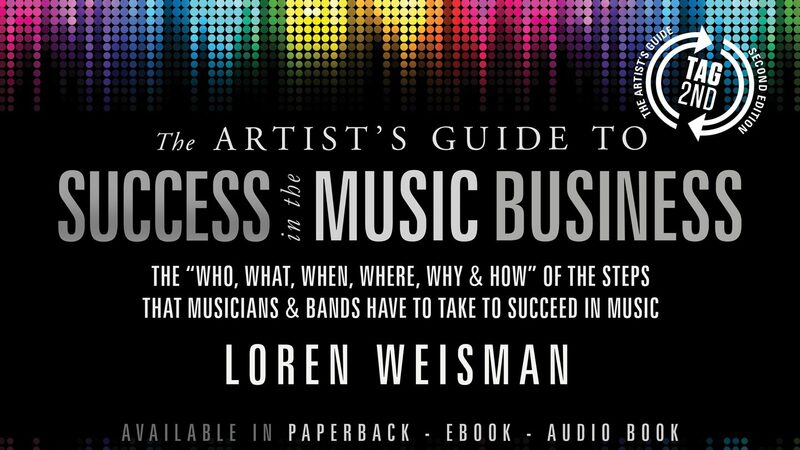 Applying a down to earth, conversational approach, Loren Weisman is available for speaking engagements, seminars, keynotes, lectures and presentations that are personalized and individualized for the Music Industry, Arts and Entertainment as well as focuses in other arenas. Loren Weisman delivers down to earth talks, fun presentations and humorous lectures with an audience to create engagement & enjoyment while sharing experience, knowledge & direction for those inside and outside of the music business. Connect with Loren and give him an idea of what you want or what you are looking for. He is happy to individualize, personalize and organize any of the talk titles to fit your event, lecture, conference or engagement. The presentations from Loren also puts an emphasis on the importance and the best practices of engagement, conversations and conversions with the buying public, the professionals using the products, the sales teams selling the products and the connections to allow the products, messages and businesses to reach the widest array of people possible. Mixing humor with audience engagement, cold hard facts with simple fun truths and opening up conversations that connect with the audience instead of talking down to them, allows for the best platforms for the best flow, tempo and retaining of the information shared. These talks aren’t coming from a place of how it should be. These presentations aren’t about life coaching or you can do it hype. These seminars aren’t built off of hearsay, rumors or outdated approaches. These talks are coming from the experiences and proof of concepts of someone that has navigated many different waters of the music biz! These presentations supply real world and real time applications that can be put in to practice immediately with a focus on how to do it. These seminars are built off proven facts, methods and practices that applicable and effective for today, tomorrow, next month & next year! Below are five downloads that include Loren’s Speaking Talk Titles, his consulting menu, the initial question form for clients, a one sheet and a referral sheet if you are interested in helping Loren get booked while earning some money through that referral. All speaking fees can be negotiated for the specific event and situation. 40% with in 30 days following the event. Discounts available for full upfront payments, and final payments made on day of event. Booking Business Speaker Loren Weisman for Speaking Engagements, Seminars, Signings, Conferences and Lectures.